RPGs go back to the pre electronic gaming era when they were playing using paper and dice. 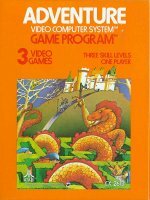 Tunnels and trolls was the first but Dungons and Dragons quickly became the standard. RPG's instantly became an established genre in video gaming. 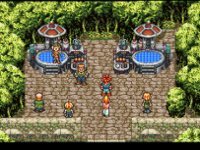 Key elements like character development, exploration and quest solving offer more depth than most other genres and keep RPGs popular to this day with epics like Zelda and final fantasy. Considered by many to be the first graphical Adventure game. Adventure introduced the idea of movable objects that could be picked up by the player and moved around the game world which was one of the first video games to include a multi-screen game world. 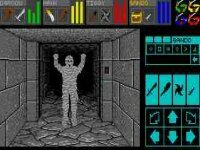 Multi-User Dungeon, or MUD for short, was the first game to include a persistent online world where players could interact with each other through a text interface. Originally developed in 1978 at Essex University, England, MUD ran for many years on the University's computers. 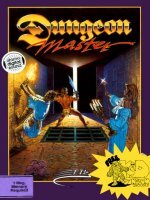 Dungeon Master was seen to be a revolution in the way players could explore and interact with a dungeon maze in a 3D type first person perspective. It also combined role playing with real time action. Ultima 7 is a huge RPG and one of the best in the ultima series. It has numerous subquests, sideplots, and small diversions all with the usual Olde English dialog. Allowed a great deal of freedom. Also notable for the addition of the Speech pack and Serpents Isle expansions. 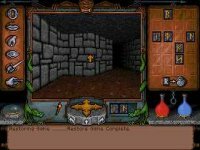 Ultima Underworld - The Stygian Abyss took the dungeon master style of game to the next level. Featuring an advanced 3d engine, real-world object physics, a role-playing enviroment and real time combat. Surprisingly, it predated Doom by a full two years and Wolfenstein 3D by two months. An epic tale with tough riddles, seemingly endless labyrinths and involving storyline. Know as Shining and the Darkness in the US. 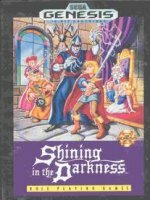 The first in Sega's Shining series with the latest one "Shining Soul" being released for the GBA on march 2002. 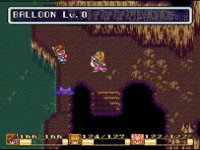 Secret of Mana or Seiken Densetsu 2 as it was known in Japan is a very popular game mostly because it combines a great story line with some of the best music and graphics seen on the SNES. The ability for 3 players to play with a multitap distinguishes it from Zelda. Perhaps a little to easy for regular rpg players but with loads of secrets to find it has a lot of replay value. Never released in the UK, often touted as the best rpg on the snes. Many peoples' first intro to RPG games this is a true classic. Combines realtime combat and a superb storyline. Zelda on N64 is a successful translation into 3D. It uses a single action button which, while saving a lot of time, can make things a bit easy at times. Combat is well designed with a nice "lock-on" feature which has been copied in many games ever since. The plot is the usual find 7 crystals and basically involves making your way through 7 different dungeons. Perhaps the first game to capture the kind of story and combat dynamics once associated with its pen & paper counterpart. Origin's online version of Ultima is a ground breaking rpg with a persistent world where literally thousands of players could interact with each other. Players can even buy houses or castles. Two main drawbacks; cheating and it is subscription-based. Origin charge a small monthly fee of about $7.